For most of us, the most outrageous a funeral gets is perhaps the deceased's last wish to have the countdown theme played as the curtains close, or that everyone should wear rainbow colours. But, more often than not, the whole affair a fairly sombre gathering of black-clad mourners and then some drinking and reminiscing. In the West in particular, we're pretty squeamish about the whole process of death, preferring to keep it out of sight, out of mind and definitely out of the house. There are a lot of cultures out there, however, who have very different ideas as to what constitutes a good send-off. Whether that's snapping pictures of the dead, keeping them hanging around the house or even disturbing them every couple of years for a good old family reunion, the dead certainly don't get the same treatment around the world. If you don't fancy the traditional send off for yourself, why not take a couple of notes from some of the most bizarre death rituals throughout the world? The Victorians had a much more frank relationship with death than we do today. Back then death was a much bigger part of life and those crazy Victorians were okay with that. So they took lots and lots of pictures of dead people. 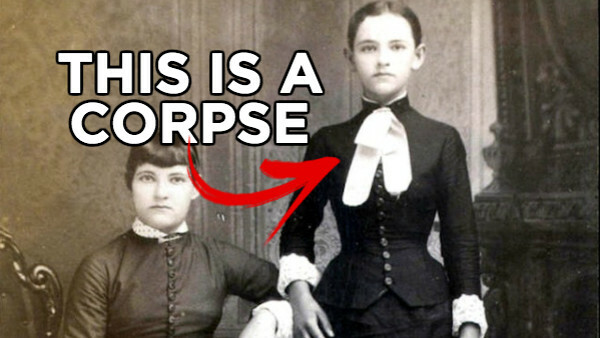 This is what was known as post-mortem photography. It was a way of preserving the memory of their dearly departed beyond a fancy headstone. The photographs were often kept in the family photo albums or even displayed around the house with pride. 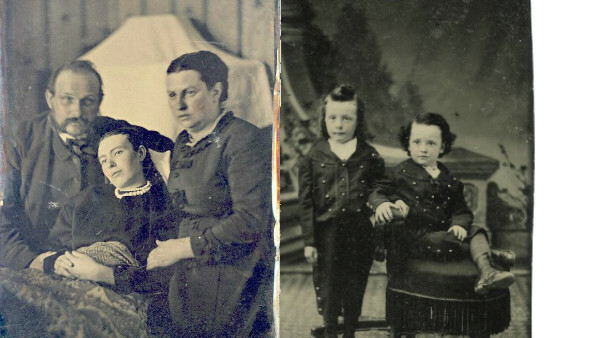 To be fair, getting you photograph taken back in the Victorian era meant that you had to sit very still for minutes at a time, and it was mush easier to get a dead person to do that. It was also pretty expensive, so those thrifty Victorians saved up all their lives for it, meaning that the only photograph of a lot of Victorians is post-mortem. They would usually pose their dead loved ones as though they were alive, often using specialised stands to prop them up. They sometimes even had their living relatives in the photograph too for a big group portrait. They got so good at it that it's generally pretty difficult to tell whether the people in Victorian portraits are alive or dead. The telltale signs include the lack of blurring, meaning that they were able to sit impossibly still for several minutes, a slightly glassy stare and you can sometimes even see a hint of the stand that's holding them up (such as in the picture on the right above, the little boy stood up is dead. In the picture on the left, it's the woman in the middle). Writer. Raconteur. Gardeners' World Enthusiast.